.Rabbi Goldberg is a member of the Supreme Rabbinical Court (retired), Rosh Yeshiva of “Yeshivat Da’at Moshe” of Chasidut Sadigura and Rosh Yeshiva at “Machon Lev.” He has given a weekly shiur at “Eretz Hemdah” since its first day, is a member of the “Shut Bemareh Habazak Halacha Committee” and is the president of the Beit Din “Eretz Hemdah – Gazit.” Rabbi Goldberg is a descendent of a Lithuanian rabbinic family. In his youth, he learned in Yeshivat Chevron. He is married to the daughter of Rabbi Shlomo Zalman Auerbach. Rabbi Goldberg is known as a posek and gives shiurim to Torah scholars across the country, including at yeshivot in Judea and Samaria. In his rulings he demonstrates a vast knowledge in Gittin and Ketubot, in-vitro fertilization, intellectual property rights and settling the land of Israel. Rabbi Goldberg is known as ‘the Garzen’ (which has a double meaning, an acronym for the Gaon Rabbi Zalman Nechemia and as an expression of a great scholar with a sharp intellect). His books: * Chazon Kedumim and Ginzei HaTorah – shiurim on several Tractates. * ‘Mishpat Aruch’ – halachic rulings and methods of the Acharonim on the Shulchan Aruch, Choshen Mishpat (five volumes). *Publications in various Torah journals. *About Death – Q & A on the halachic aspects of treating terminally ill patients. Rabbi Moshe Erenreich Heads Eretz Hemdah and is the Av Beit Din Eretz Hemdah-Gazit. Rabbi Erenreich was born in Hungary in 1946. He learned in Rav Amiel’s Yeshivat HaYishuv HeChadash. He studied in Yeshivat Kerem Beyavneh and taught there for 20 years. He fought in the Yom Kippur War. Rabbi Erenreich is a lecturer at the Nishmat Institute and a Dayan on the Chief Rabbinate’s conversion court. His books include the eight-volume responsa, Bamareh Habazak. Rabbi Yosef Carmel Rav Yosef Gershon Carmel was born in Jerusalem in 1953. He is the Rabbinical Dean of the Eretz Hemdah, Institute for advanced Jewish studies in Jerusalem, as well as the Av Beit Din of the Beit Din, "Eretz Hemdah - Gazit". In 1987, with the partnership of Rav Moshe Ehrenreich and under the Presidency of HaGaon Maran Harav Shaul Israeli zt"l, they founded the Eretz Hemdah Institute. Rav Yosef Carmel is a graduate of the Nir Kiryat Arba Hesder Yeshiva and was Rosh Metivta there for more than ten years. He was a combat soldier in the IDF during the Yom Kippur war as well as the first Lebanon war. 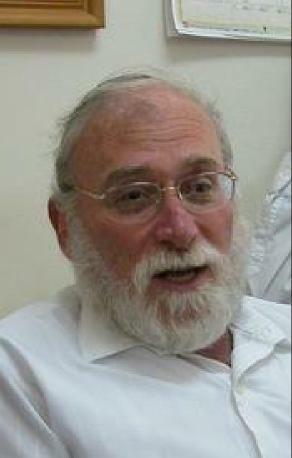 Rav Carmel is a senior lecturer for Tanach at Jerusalem College since 1985. Rav Carmel heads the 'Ask the Rabbi' program which provides Halachic answers in English to questioners from around the world. To date, more than 20,000 replies have been sent out. 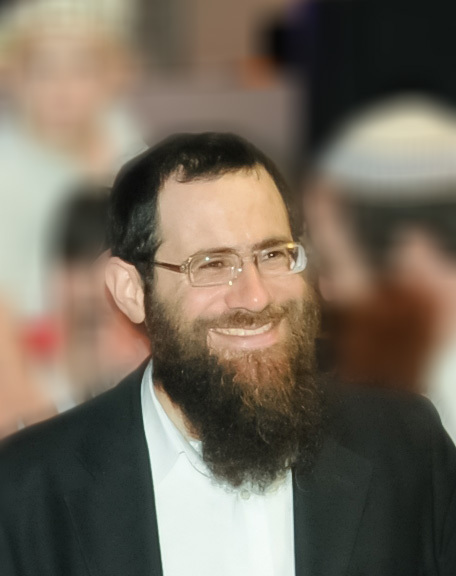 He is the author of many articles on Tanach and Halacha, the book Tsofenat Eliyahu – a commentary on the Vilna Gaon’s commentary on the laws of financial damages in Shulchan Aruch Hoshen Mishpat, the book Tzofnat Yeshayahu – from Uziya to Ahaz – a commentary on the prophecies of Yehsayahu during one of the stormiest times in Jewish history, and eight volumes of "Reponsa B'mareh Habazak". Rabbi Greenberg was born in 5703 in Tel Aviv. He learned at the yeshiva high school “Hayishuv HaChadash”. He started his learning in the yeshiva “Kerem Beyavne” in 5720 and did his army service in the Nacha”l. When he finished the Hesder Program, Rabbi Greenberg taught for a short while at the yeshivot “Or Etzyon” and “Hakibutz Hadati”. After his marriage to Bilha Zuckerman, daughter of Rabbi Avraham Zuckerman – Head of yeshivot B’nei Akiva, he returned to “Kerem Beyavne”, was one of the founders of the kollel and also received a “Yoreh Yoreh” ordination from the chief rabbis, Rav Goren zt”l and Rav Ovadia Yosef shlit”a. During this period, he traveled once a week to hear shiurim from Rav Zvi Yehuda Kook zt”l. When he completed his studies at the kollel, he was appointed by Rabbi Goldvicht zt”l as a rosh metivta and taught students who came from abroad. Later on, he was appointed as rosh kollel and in two sabbaticals he served as rosh kollel at the yeshiva of Ma’ale Adumim. In 5738 he returned to “Kerem Beyavne” and was appointed as rosh kollel dayanut, and was in this role until he became the Rosh Yeshiva in 5754. He took part in writing one of the books “Birkat Eliyahu”, a commentary on the Gaon MiVilna’scommentary on Hilchot Shabbat in the Shulchan Aruch. 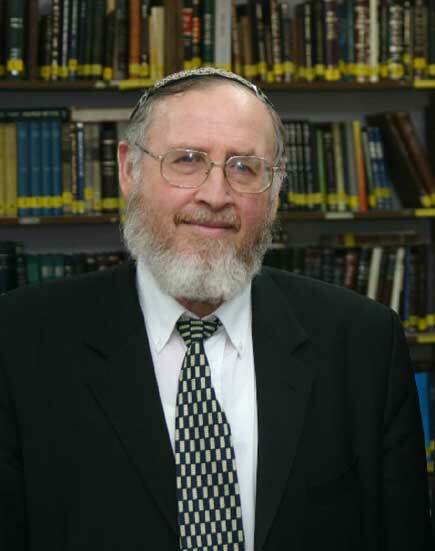 He has published many articles on Halacha and Jewish thought, explanations and sources forarticles by Rav Avraham Yitzchak Hacohen Kook zt”l’ and a book titled “Kerem Shlomo” on the weekly parsha readings. 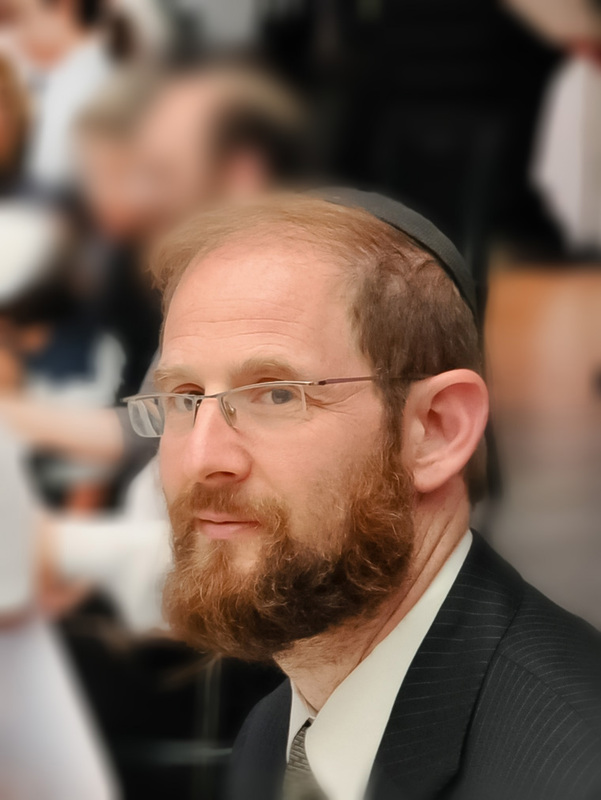 Rabbi Yisrael Rozen heads the Zomet Institute for Halachah and Technological issues and is the editor-in-chief of the annual periodical, Techumim, which Zomet publishes. He is the Halachic – Technical advisor of the Halachah Committee of the responsa BaMareh HaBazaq. A founder of the Conversion Authority of the Israeli Chief Rabbinate, he also serves as one of its dayanim. 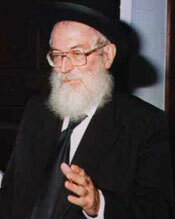 Rav Rozen was born in Tel Aviv in 5701 (1941). He learned in Yeshivat HaYishuv HeChadash and in Kerem BeYavneh, and is one of the founders of the kollel there. Subsequently, he learned electronics at the Jerusalem College of Technology and Bar-Ilan University. Rav Rozen is married with five children and resides in Alon Shevut. 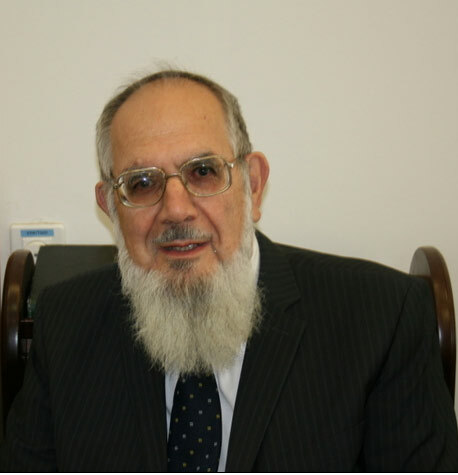 Rav Rozen deals in numerous fields: a discoverer of solutions to issues in halachah and technology (at the Zomet Institute) – applying halachic concepts to technological devices (mainly electronic) in order to allow their use within the halachic framework; a popular writer who appears in the Israeli daily, Yediot Acharonot’s Website, Ynet; a researcher of Biblical topics, writes commentaries on the Tanach according to Chazal and more. 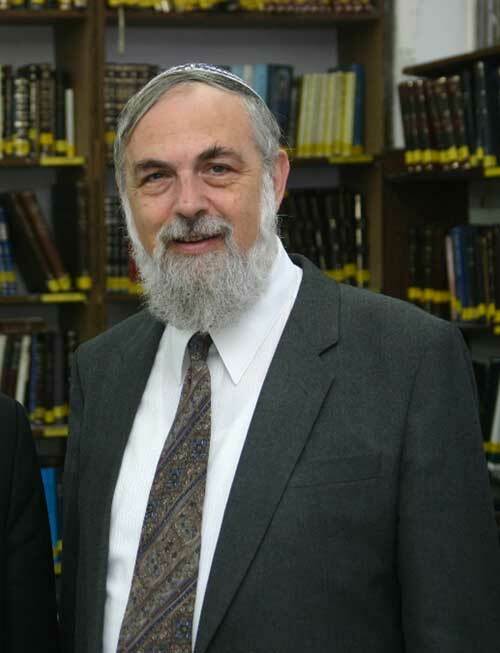 In April ’08, Rav Rozen was awarded the Lev Prize, which was granted by the Jerusalem College of Technology for his contributions to Torah and Science. Rav Jacobowitz studied at Yeshivat Har Etzion and was in the Kollel Elyon of Yeshiva University. He has a master's degree in mathematics from the University of New York. He is a graduate of Eretz Hemdah and serves as a Dayan on its Beit Din. He taught and oversaw Eretz Hemdah's Rabbinical program in Paris and its Dayanut program in South Africa. He has taught at various other post high school Yeshivot and programs including Yeshivat Ateret Yerushalayim, Yeshivat Torat Shraga, and Yad Avi Hayishuv’s “likrat shlichut” program. 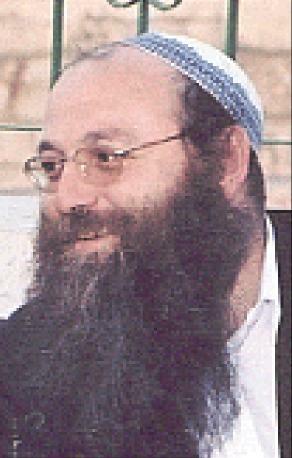 Rabbi Sinai Levi grew up in Haifa’s Neve Sha’anan neighborhood. His parents sent him to the ‘Netiv Meir’ yeshiva, where he excelled in his studies and was chosen by the veteran and renowned Ra”m, Rabbi Eliyahu Grossberg, to serve as his assistant during shiurim. He began his post-high school studies at the ‘Shvut Yisrael’ yeshiva in Efrat-Gevaot before coming to ‘Eretz Hemdah’. He and his wife Miri (nee Rabinovich from Efrat), have six children. 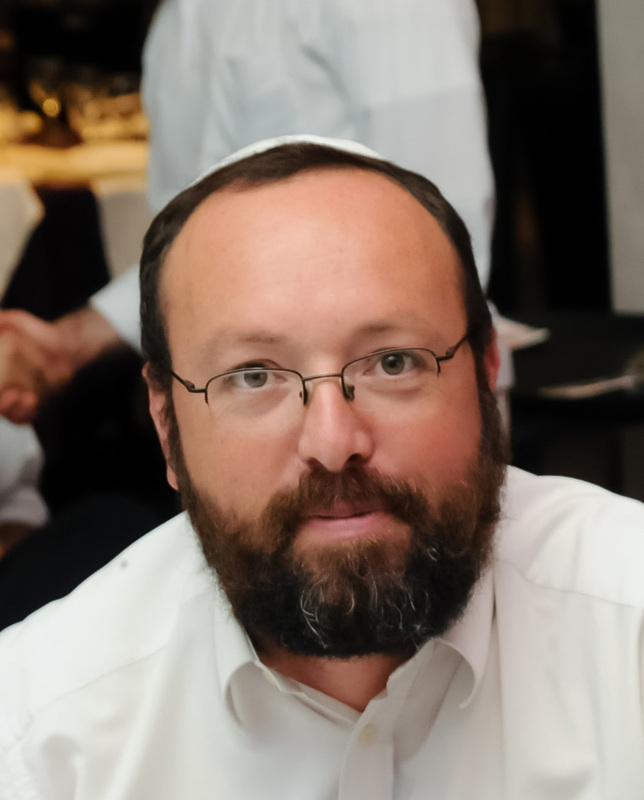 During his studies at ‘Eretz Hemdah’, Rabbi Levi also completed a law degree at Bar-Ilan University through a special program that granted him a full scholarship. As an ‘Eretz Hemdah’ graduate, Rabbi Levi received Yadin Yadin ordination from the Chief Rabbinate. After completing his studies, Rabbi Sinai and his family moved to ‘Mitzpe Ilan’ (in Wadi Ara), named for the first Israeli astronaut, Ilan Ramon of blessed memory. This community, which is part of the effort to increase the Jewish population of the North, is home to 50 National Religious families. Rabbi Sinai and his wife head the community with sensitivity and sanctify G-d’s name through their work. His wife Miri is a homeroom teacher at the ‘Mevasseret Baruch’ ulpanit in Hadera. Rabbi Sinai played a key role in the establishment of ‘Eretz Hemdah–Gazit’ network of batei din. He served as its administrative director and today he is a dayan on the Jerusalem and Coastal Plain batei din.